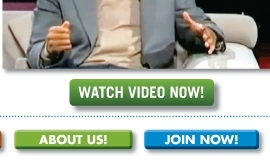 "ABOUT US" and "JOIN NOW" buttons -- each punctuated with exclamation points -- appear below this image of actor Will Smith in Club Asteria's September 2011 house organ. The PP Blog has cropped this screen shot not to show Smith's face, but his face appears in the Club Asteria promo. UPDATED 1:47 P.M. EDT (U.S.A. OCT. 29, 2011.) An image of famed actor and rapper Will Smith appears in Club Asteria’s September house organ, an online glossy used by the firm to recruit affiliates across the world. It was unclear if Smith had knowledge of the promo or had authorized Club Asteria to use his likeness. A link to the publication featuring the image of Smith appeared on the TalkGold Ponzi forum yesterday. TalkGold is referenced in federal court filings as a place from which international fraud schemes are promoted. Smith’s publicists at the 42West agency in Los Angeles had no immediate comment on the promo when contacted today by the PP Blog, which provided a link to the Club Asteria publication. The entertainer’s image appears on Page 7 of the September gusher. Buttons using the words “LEARN MORE!” “ABOUT US! and “JOIN NOW!” appear a short distance below the image of Smith. But readers who press the buttons do not receive information about Smith. Rather, the buttons forward to Club Asteria’s website. The “JOIN NOW” button, for instance, takes readers to Club Asteria’s registration page. The presence of the image of Smith, the wording and design of the page and the positioning of the buttons lead to questions about whether the “Independence Day” and “Men in Black” star had endorsed the purported Club Asteria opportunity or whether Club Asteria was trying to create the impression among readers that he was a spokesman for the company. In May, Club Asteria promotions were banned in Italy by the Italian securities regulator CONSOB. The agency has published its orders and findings on Club Asteria affiliate websites in Italy. It is common for shady promoters of multilevel-marketing (MLM) “opportunities” to plant the seed in promos that a particular product or service is endorsed by a celebrity when no actual endorsement exists. A headline of “Will Smith Inspires the World With Enthusiasm for Life, Work & People!” appears above the image of Smith in the Club Asteria promo. A button to a video — apparently one that appeared on YouTube and is being reframed inside the house organ — appears below the image of Smith. When clicked, the video loads footage of an interview with Smith conducted by 60 Minutes reporter Steve Kroft (NOTE: This paragraph was edited on Oct. 29, 2011, to reflect that Kroft, not Scott Pelley, conducted the 60 Minutes’ interview.) As the video proceeds, it loads footage of Smith being interviewed by broadcaster Charlie Rose. It then works in footage of a Smith interview on NBC’s Today show and a Smith interview on the “Ellen” show. Footage from other shows also are spliced into the video. Club Asteria reportedly recruited more than 300,000 members in a worldwide promotional blitz that traded on the name of the World Bank. Hundreds — if not thousands — of promos for the firm claimed Club Asteria was a program that provided a weekly return on investment of between 3 percent and 10 percent. The offers were targeted at the world’s poor, with Club Asteria positioned as a company that could lift them out of poverty. Club Asteria was widely promoted on forums associated with Ponzi schemes and the sale of unregistered securities. Members said Club Asteria first slashed weekly payouts to members in the spring and then eliminated them. Club Asteria announced in May that its PayPal account had been frozen, a development it blamed on members. In various promos prior to the PayPal freeze, Club Asteria affiliates preemptively denied Club Asteria was operating a Ponzi scheme. Club Asteria managing member Andrea Lucas, whom the World Bank said in March once held a staff position at the bank, last worked for the bank in 1986 — 25 years ago. Lucas was described in promos for Club Asteria as a former “Director,” chairman and vice president of the World Bank. Images of Hank Needham, another Club Asteria principal, appeared in 2008 promos for AdSurfDaily. In August of that year, the U.S. Secret Service seized tens of millions of dollars from the personal bank accounts of ASD President Andy Bowdoin, alleging that he was presiding over an international Ponzi scheme. Bowdoin was arrested on criminal charges of wire fraud, securities fraud and selling unregistered securities in December 2010. His trial is pending. Like Club Asteria, ASD also was promoted on Ponzi boards such as TalkGold and MoneyMakerGroup, which is listed in federal court filings as a place from which the alleged Pathway To Prosperity and Legisi Ponzi schemes were promoted. ASD, Pathway To Prosperity and Legisi created tens of thousands of victims globally and fraudulently obtained a combined total of about $250 million, according to court filings. One wonders if Hay House publishing and the author Louise Hay are aware of the fact they too are being used as pseudo promoters of Club Asteria. It’s just another trick, putting lipstick on a pig. The internet, and companies like this make it easy for someone to look like a legitimate business, even a successful one, when in fact it’s just an illusion. I don’t want to say anything bad about the E-zine publisher, from what I can tell they do a lot of work for small town businesses and otherwise legit companies, but anything that looks so good will attract people who will use to to sell deceptive opportunities. The image of Will Smith has mysteriously disappeared from Club Asterias’ September edition. I wonder how THAT happened ? ?